I make this retro felt brooch in the colors you choose, so it will fit your style. 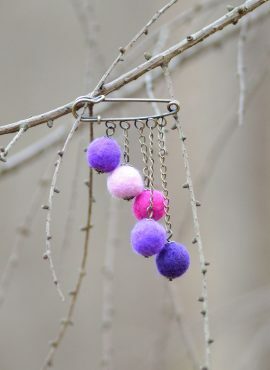 And with hanging beads it will attract attention to all you do. 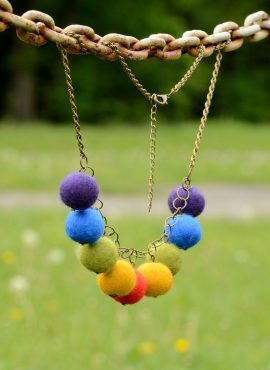 This felted ball necklace is suitable for many occassions and many places. It can be elegant or playful, depending on the colors you choose. 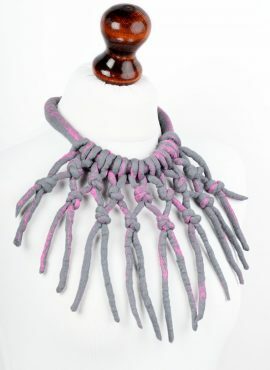 This tribal felt necklace has crude design but at the same time it looks very feminine. It will help you to express your soul and find your tribe. 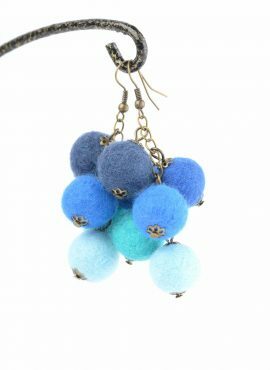 These felt cluster earrings have a shape similar to a bunch of grapes. With traditional style and natural look they are perfect for everyday use. 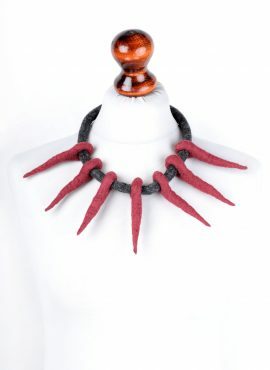 This felt spike necklace has seven spikes in colors of your choice. It is perfect for women who love ethnic style and natural fibers. Felted mittens with medium length and simple design. Thanks to soft merino wool, they will give you a feeling of comfort and luxury each time you wear them. Felt flower necklace designed for women, who love boho and gypsy style. You can choose its colors and match it with your own style. 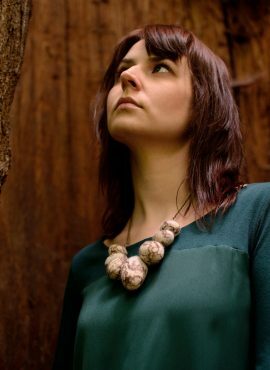 Felt stone necklace made of seven wool stones in different shapes and sizes. With each stone decorated with natural silk it is really unique and beautiful! Felted flower necklace made in custom colors. 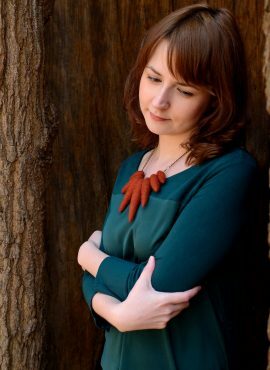 It is inspired with folk jewelry for women and will look great with natural clothes. 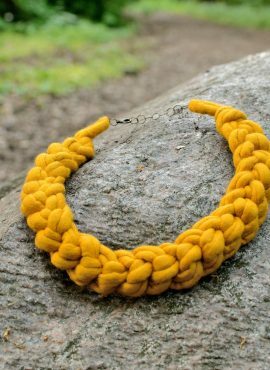 I make this felted crochet necklace in one or two colors of your choice. It will give you much joy and connect you with nature. 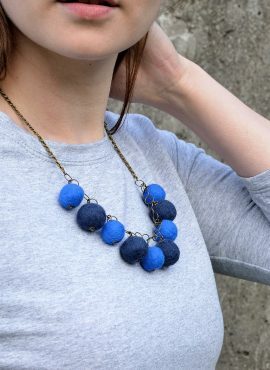 This felt ball necklace is a subtle neck decoration for women and girls. 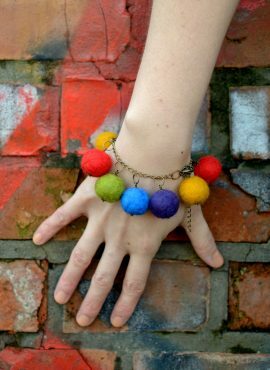 It has beads in two different sizes and you can choose its colors by yourself. I make this felt crochet necklace in one or two colors of your choice. 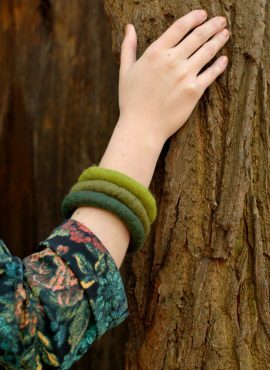 It is perfect for women and girls who love natural materials and rope jewelry. 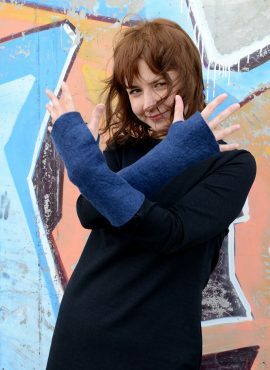 Short felt fingerless gloves made to order in your size and color. 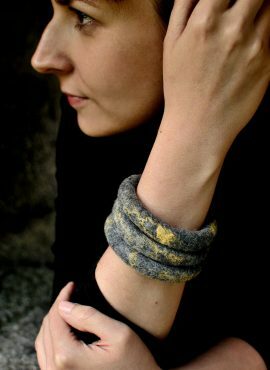 Thanks to soft merino wool and simple design they are perfect for casual use. 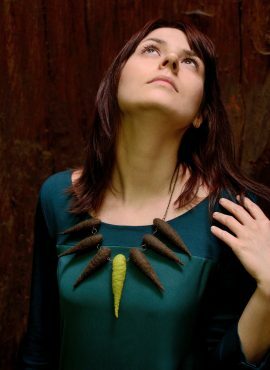 This felted spike necklace has ethnic look and will let you feel wild. You can choose its colors by yourself to make it compatible with your own style. 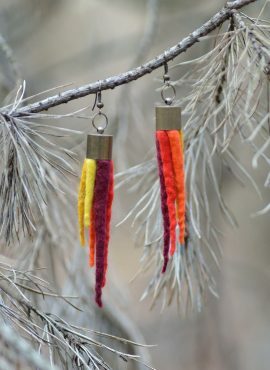 I make this felt ball pendant in the colors of your choice. It is perfect for women and girls who love simple jewelry and want to wear natural materials.